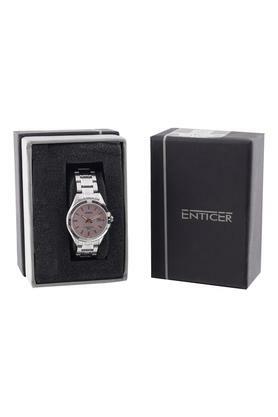 An exceptional watch for an exceptional woman, this analogue timepiece combines fashion and quality. 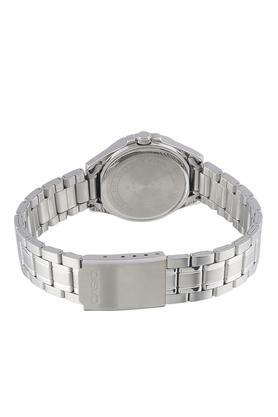 The round dial is attached to a metallic bracelet, hence giving it an undeniable aesthetic appeal. The crown further helps you in adjusting the time. 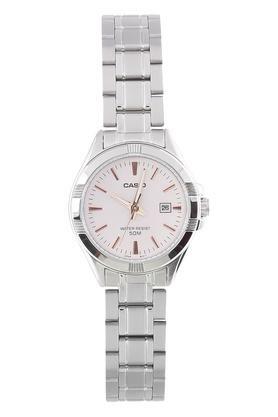 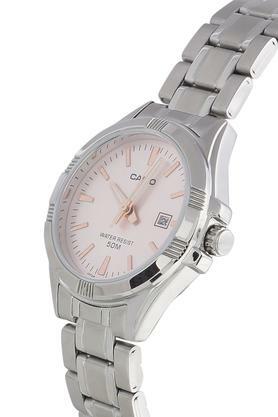 Reflecting excellent craftsmanship, this wristwatch presented to you by Casio will be an ideal pick for you to wear on casual occasions.